Help the 3-Strike wild horses and burros who have lost their protections get to safe homes away from Kill Buyers! All of these wild horses and burros known as the #Nevada79 have received 3-Strikes and are now considered Sale Eligible thus losing their protections. 12 are located at the Palomino Valley Center outside Reno, Nevada and 67 are located at the facility in Fallon, Nevada known as Indian Lakes. Let’s make sure none of them go to kill buyers signing on the dotted line and lying to BLM. Let’s get them into loving homes in pairs. Let’s get all of them to safety! AMORE’s owners never thought she would be bought at the auction by a Kill-Buyer who would sell her to slaughter. Someone who loved her braided her hair and made her look pretty hopping she would go to a good home. Poor baby ended up in the clutches of the killers! Thanks to an angel named Clare Staples and with the help of Jim McQuillen, Protect Mustangs got her away from the killers! Then the little mare got sick and had to stay in Quarantine in Oklahoma for about 2 months. She was well taken care of by Tonni and we are so thankful for her wonderful care. Now AMORE is ready to go back out West where she is from. PROTECT MUSTANGS and AMORE want to thank everyone who pulled together to donate and share her Quarantine and Transportation fundraiser making it a success in less than 3 days. It takes a village and you all are part of this special rescue. We are grateful you are friends of AMORE. She sends her love and blessings. AMORE is going to be safe in CALIFORNIA. She will live with some of the other mustangs from our Outreach Program. She’s about 15 years old now and when she gets older she will retire with the other mustangs and NEVER be at risk again of becoming meat on someone’s dinner plate in a foreign country. If you are interesting in sponsoring AMORE and being a very special part of her life please contact Anne Novak at 415-531-8454. 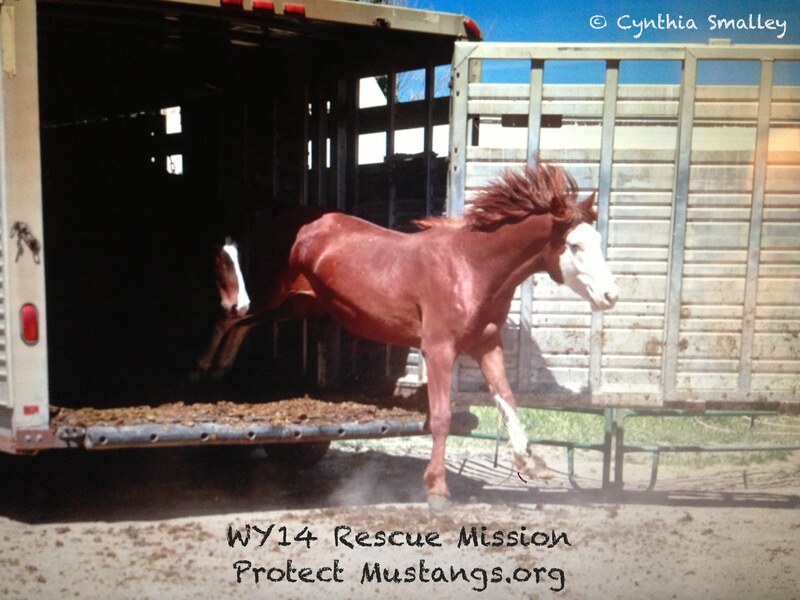 In the next phase of the WY14 Rescue Mission, Protect Mustangs needs to gentle, feed and care for 14 Wyoming wild horses who were rescued back from the slaughterhouse last year and who will live at the Eco-Sanctuary in about 12 months once it is completed. Please contact Anne Novak, Executive Director via email at Contact@ProtectMustangs.org or by phone at 415-531-8454 if you have any leads for places in the Bay Area. Thank you! SAN FRANCISCO, Ca. (Protect Mustangs)—Against all odds, Mark Boone Junior (Batman Begins & Sons of Anarchy) with Anne Novak, executive director of Protect Mustangs, saved 14 young free-roaming wild horses from slaughter thanks to donations from Alicia Goetz, the Schnurmacher family and others. 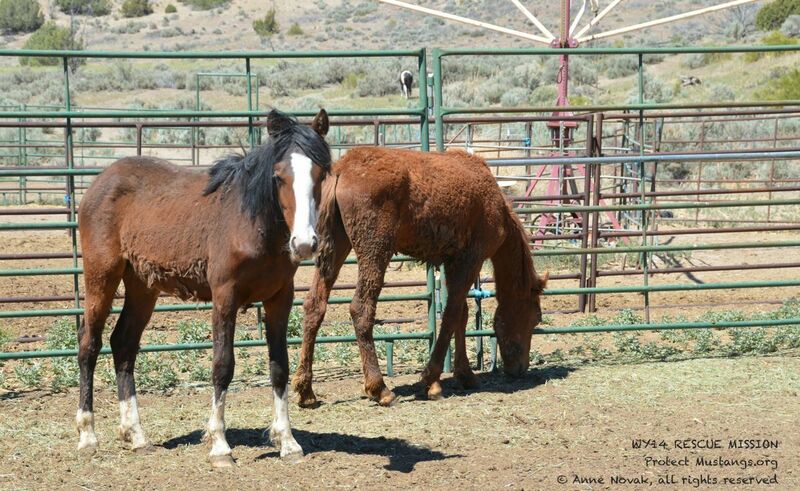 This unprecedented rescue seems to be the first time American wild horses have been purchased back from a slaughterhouse following a Bureau of Land Management (BLM) roundup. In March, the herd of 41 wild horses was rounded up by the BLM, using taxpayer funds, handed over to the the Wyoming Livestock Board and sold at auction to a Canadian slaughterhouse for human consumption abroad. The BLM claims everything they did was legal. In 2004, former Montana Senator, Conrad Burns, added the Burns amendment to the Appropriations Act of 2005 without any public or Congressional discussion. The Burns amendment overruled many protections in the Wild and Free-Roaming Horses and Burros Act of 1971. From that time forward, “unlimited sales” to slaughter has been legal. Due to public outcry against selling wild horses for slaughter, the BLM uses middle men who sell the mustangs to the slaughterhouse. This time the scapegoat was the Wyoming Livestock Board, other times it’s men like Tom Davis. The 1,700 wild horses he purchased from the feds have never been accounted for. Advocates believe they went to slaughter in Mexico. Public outcry over Tom Davis prompted BLM to revise their policy to avoid another fiasco in the future. A change in policy is not a change in law. 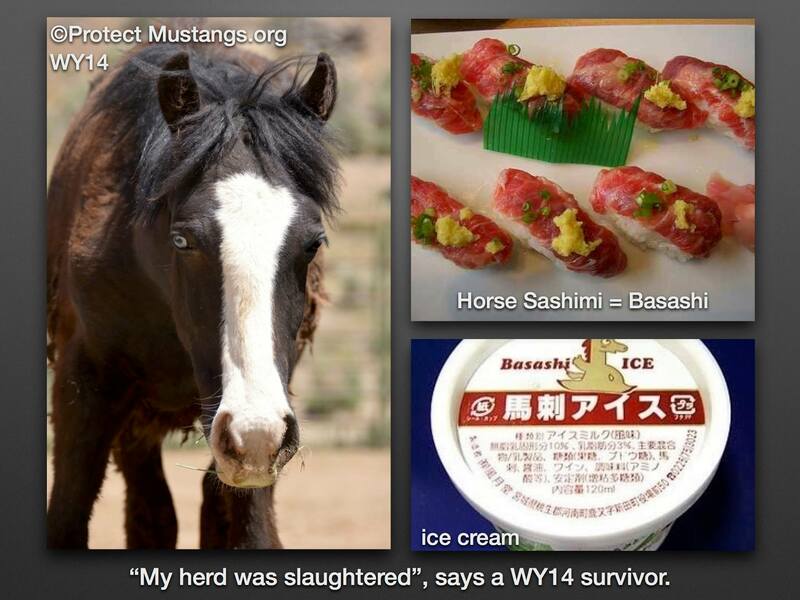 It’s still legal for the BLM to allow slaughter and exportation of horse meat. Out of the 41 wild horses rounded up on March 18th and 19th near Greybull, Wyoming, 37 were quickly sold to the slaughterhouse. 4 foals were saved by the co-owner of the auction house and later transferred to advocates. Protect Mustangs jumped in later on April 2nd to save the other 37 wild horses from being slaughtered. Chances were slim they would find any alive. Boone and Novak quickly learned that a group of 23 mares and stallions had already perished. The duo managed to prevent the last 14 orphaned wild youngsters from going to slaughter. The survivors are called the WY14. These wild horses range from 8 months to 2 years old. For generations, free-roaming wild horses lived in family bands north of Greybull and close to a former herd area called Dry Creek/Foster Gulch that was zeroed out in 1987 to make room for extractive uses such as bentonite mining. In 1971 there were 339 wild herds in the West, but now there are only 179 left in all 10 western states combined. Today the Bighorn Basin is preparing for another extractive boom but this time it’s about fracking for oil and gas with right-of-way corridors to service those fields. Is this why the small herd of 41 wild horses was suddenly ripped off public land? The feds maintain the 41 wild horses were not wild even though they lived wild and free for generations. Curiously reports have surfaced that a bucking string made up of wild mustangs was turned out by their original owner more than 40 years ago. 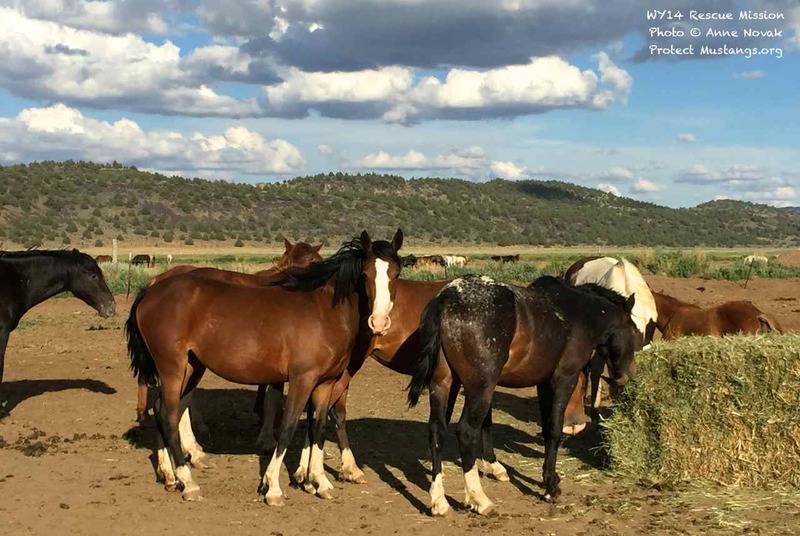 If it could be proven these wild horses were on public land in 1971, they would be protected under the Free Roaming Wild Horse and Burro Protection Act. The BLM claims the horses have been there for only 40 years not 43. Go to www.ProtectMustangs.org to help the WY14 with your donation. Now the WY14’s new destination has fallen through! Please make a donation today and share this information to help get the word out! We need some pasture/paddock space in Calfornia to house these young wild horses. This is a temporary situation until Protect Mustangs can secure land for the sanctuary to keep them together after all they have suffered. All their parents and everyone over the age of 2 was slaughtered in Canada for human consumption abroad. Anne Novak and Mark Boone Junior saved the WY14 before they were live shipped to a place like Asia to end up as sashimi. Protect Mustangs also needs a donated truck and stock trailer, fence panels, halters & lead ropes to care for them as needed at the new location. Please contact us via Contact@ProtectMustangs.org if you have a truck, trailer or equipment to donate. Protect Mustangs is an all volunteer 501c3 sponsored organization. Our sponsor is the Andean Tapir Fund noted on this Go Fund Me. All donations are tax deductible. The WY14 thank you so much for helping them stay together after all they have suffered at the hands of people rounding them up and slaughtering their herd. One of the reasons why we are fundraising on an open platform at GoFundMe http://www.gofundme.com/9xcfag and http://www.gofundme.com/fujloc is to provide transparency and education. Your donations are tax-deductible as well. Our transparency is important and crowd funding encourages transparency. We also accept donations via PayPal to Contact@Protect Mustangs.org Most people have no idea how much is really being donated to orgs and how much the true cost is to feed and care for rescued wild horses for example. Out on public land it costs basically nothing to have wild horses and burros because they are part of the eco-system and fill their niche. It’s important to fight for their freedom to live in the wild. Our plan is to create a sustainable eco-sanctuary where the the wild horses can graze and we can grow hay for the winter. The WY14 will be allowed to live in sanctuary and to be observed by visitors, students, artists, veterans, etc. They will only be minimally gentled to provide foot care and other care as needed but otherwise left in peace. 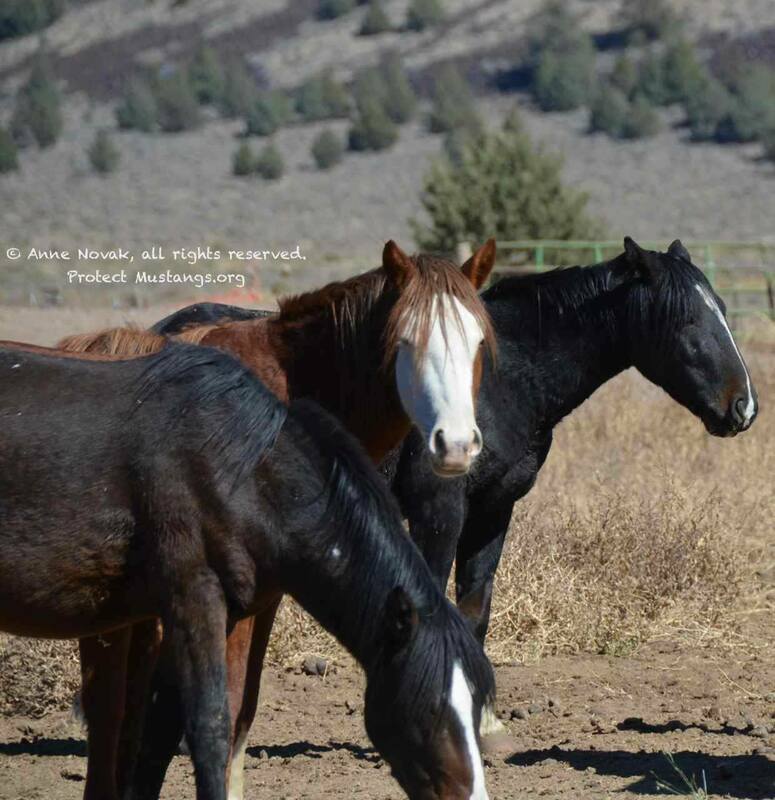 The other wild horses in our Outreach Program are Ambassadors that interface with the public in a hands on way and will go to events to champion and encourage wild horse adoption as well as bust prejudice against WILD horses. Val for example has already dispelled many myths to a lot of DVMs and vet students at UC Davis. It’s beautiful to watch it happen. Maybe now some of those people will think slaughtering wild horses is a bad idea because they met Val. We are a national nonprofit organization based in California. Donations made directly to us via www.PayPal.com or by mail to Protect Mustangs, PO Box 5661, Berkeley, Ca. 94705 should be tax-deductible retroactively as we are filing with the IRS in 2014. Meanwhile the Andean Tapir Fund (501c3) is our fiscal sponsor while ours is in the works. When we have our own 501c3 status then we will start a fundraising campaign to create the ecosanctuary. In the meantime we need to feed, board, train and care for the wild horses in our program. We are 100% volunteer–no salaries. 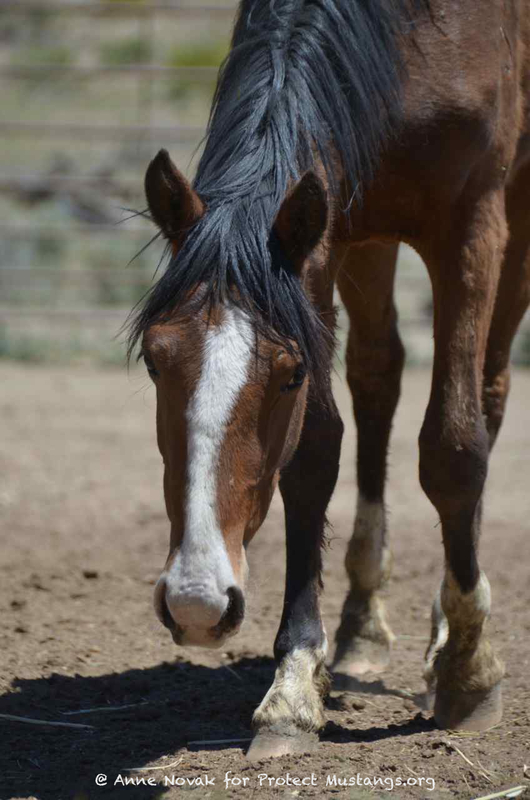 Your tax-deductible donations are going to the wild horses in our program. Hay is extremely expensive and the only power we have to get a better rate is if we buy semi truck loads. We haven’t been able to raise that kind of money so we buy it in blocks of 30 bales or less at a time. Most rescues and sanctuaries are struggling with hay prices so high. For example, in the SF Bay Area hay retails for $25 a bale. In Reno the hay is cheaper. We always are sourcing out better prices to stretch out donor dollars. We must get more hay for the 14 rescued orphans from Wyoming (WY14) to eat this week so I want you to know that your donations are SO NEEDED to keep the young rescued wild horses from feeling hungry. Please share the TAX-DEDUCTIBLE fundraiser widely (http://www.gofundme.com/9xcfag) or donate directly on our website. It takes a village to care for these wild horses after the Bureau of Land Management (BLM) used taxpayer funds to pay for pricey and cruel roundups and the State of Wyoming sold them to a Canadian slaughterhouse to be butchered, packaged and eaten abroad. Left in the wild, they cost virtually nothing, heal the land and live in freedom for the public to enjoy anytime they can find them. After the roundups some lucky ones are saved but many disappear. . . Sadly all the wild horses over three-years-old from the WY14’s herd were slaughtered at the Canadian plan to be eaten abroad as a “delicacy”. The WY14 were being fattened up in the feedlot surely to be live shipped to Asia to become foal sashimi. 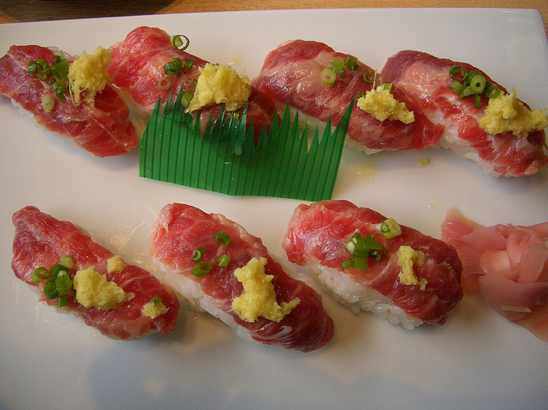 Expensive foal meat is pink whereas the pricey meat from 3-year-olds and up is dark red. That’s the only reason the WY14 were still alive when we found them and rescued them. We are a 100% volunteer organization with no salaries. We give all we can. The WY14 need help to buy hay for them to eat. When you donate, you are providing direct aid to keep them fed so they won’t starve. With your help we can make sure the WY14 are well fed and taken care of. Together we will honor the native herd that was brutalized and slaughtered by taking care of the 14 young orphans eventually in an eco-sanctuary. As of September 26th, all the money raised up until that point has been spent. Hay prices are outrageous and are going to get worse this winter. This is becoming a dire situation. The WY14 need your help today! The WY14 know they have angels out there like you, helping them. . . They need everyone’s prayers to heal from the trauma of the roundup and loss of their families. It was brutal and their healing will take a long time. Please help the WY14 with a hay donation today. Thank you for your kindness and compassion for the 14 innocents who have been so traumatized. God bless you!